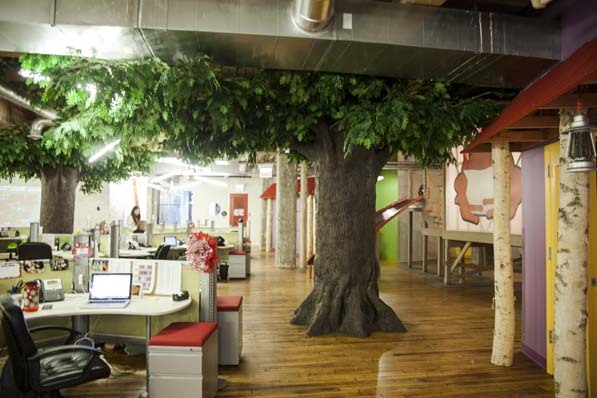 A quiet space to work is never too hard to find with the office tree house and work nooks on site. With a workspace many nine-to-fivers dream about, Red Frog Events, LLC holds a highly competitive internship, where only a few “tadpoles” are hired on as full staff. 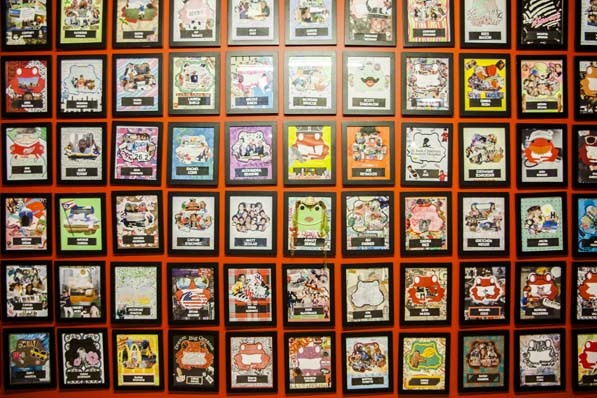 However, everyone, interns included, leaves their mark through personalized frames. 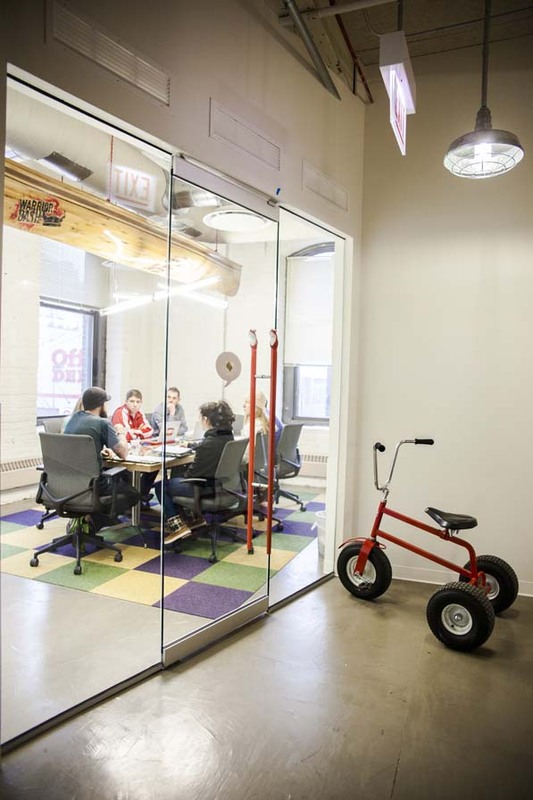 Themed meeting rooms feature anything from LEGOs to Polaroids to swings for seats. 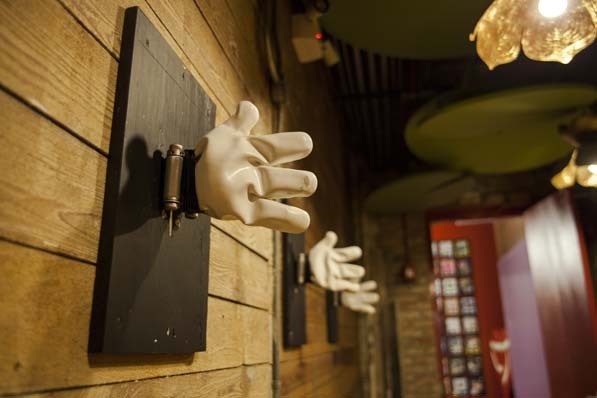 Employees are never left without a bit of encouragement with high fives just around the corner. 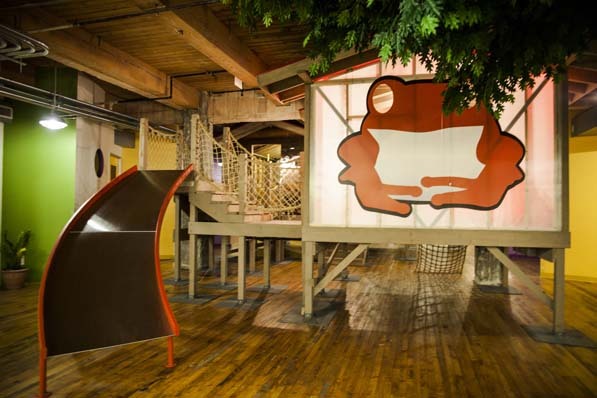 Hosting events that give people the option to crawl through mud or scavenge a city, the leaders at Red Frog like to keep their employees just as active and energized, equipping the office with a rock-climbing wall, adult tricycles, and a zip-lining station. 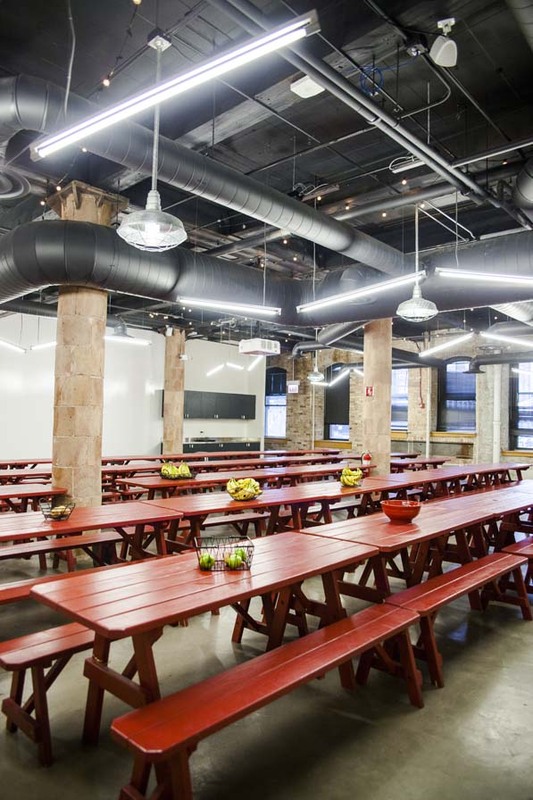 One of the typical hangouts in the office is the Mess Hall, featuring picnic tables, foosball, arcade games, and a big screen TV. 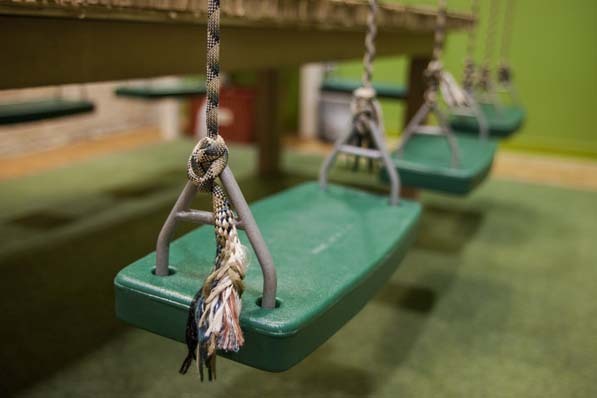 The hall houses various activities in the office, including family lunch on Mondays and fitness activities. 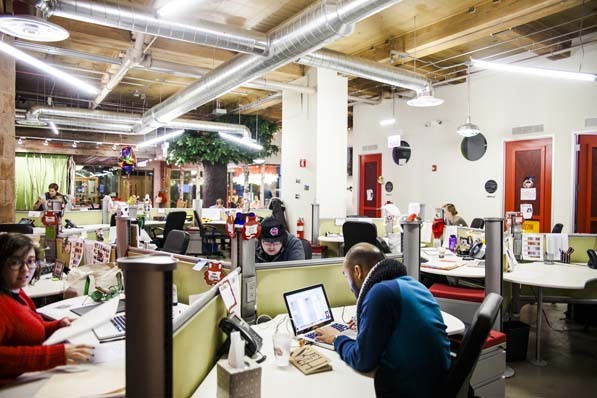 At the end of the day, “the best amenity we have at the Red Frog office is our nice-to-the-core employees who enjoy working as a team within the office,” says Lauren Shield, the company’s broadcaster of buzz.